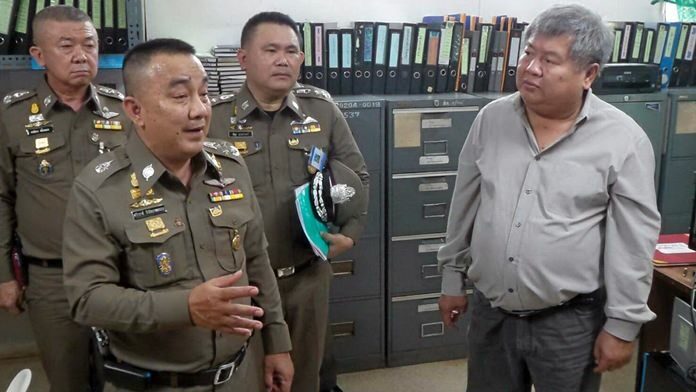 Bangkok – Police have filed an additional charge of attempted bribery against Italian Thai Co Ltd CEO Premchai Karnasutra, bringing his total charge count to 12 after being discovered in Tungyai Naresuan Wildlife Sanctuary with three others engaged in suspected illegal wildlife hunting. Deputy Commander of the Royal Thai Police, Pol Gen Sriwara Rangsipramnakul, announced the charge Friday after reviewing evidence collected by Counter Corruption Division Police. Premchai is to hear the latest accusation on March 14 alongside two other additional charges decided earlier; violation of the firearms act and illegal possession of elephant ivory. The CEO is scheduled to leave the country on March 10. There are no court restrictions on his travels but the immigration bureau has been asked to review his itinerary. Pol Gen Sriwara said his departure will not affect ongoing proceedings against him, noting he has the right to delay his March 14 appearance. Premchai filed an itinerary to travel by private jet from Don Muang Airport to Bangladesh. The flight is for four passengers and is to return the following day.